The term “Amish Furniture” brings to mind fine craftsmanship and heirloom quality, but not all Amish furniture is the same. At Herron’s, we have been forging relationships with our Amish builders for more than 20 years- choosing only the cream of the crop, the best of the best, to sell to our customers. 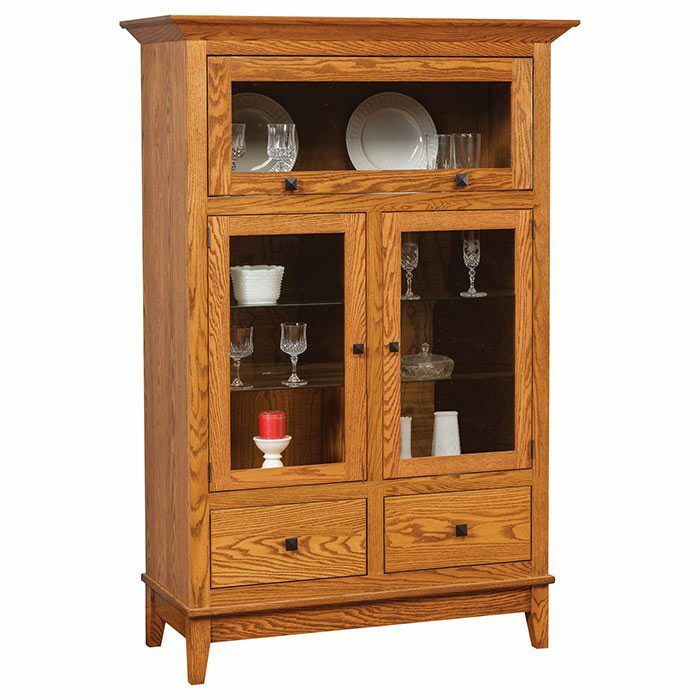 The Grand Island Buffet is a wonderful example of so many buffets and sideboards available in a variety of styles and timeless designs to match any decor. Dove-tail jointed drawers and exquisite construction add extra beauty and useful counter space in the dining room or kitchen for events such as formal dinners and get-togethers. You customize the look with options including your choice of wood, finish and hardware. Each piece of furniture is exclusively built just for you using the highest quality materials to last for generations.